A gentleman in his 40s came to us with a front tooth that had been crowned and root filled and was now failing. Repeated infection and previously unsuccessful surgical treatment had left him with a very visible problem. 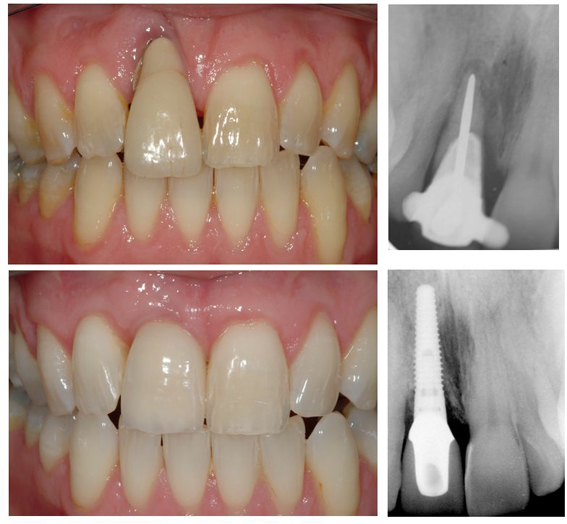 Despite the challenge we faced of gum recession and damage to the underlying bone, with our skills and experience in soft tissue and bone rebuilding as well as implant dentistry we were able to create a near-perfect end result. Full mouth restoration with dental implants, crowns & bridgework. This gentleman in his 70s had gradually lost his teeth through poor dental care, smoking, gum disease and failed dental work. His few remaining upper teeth were now failing, and after trying to wear – and hating – partial dentures for many years he wanted fixed teeth again. Although we were starting from a pretty difficult situation, a fantastic end result was achieved. 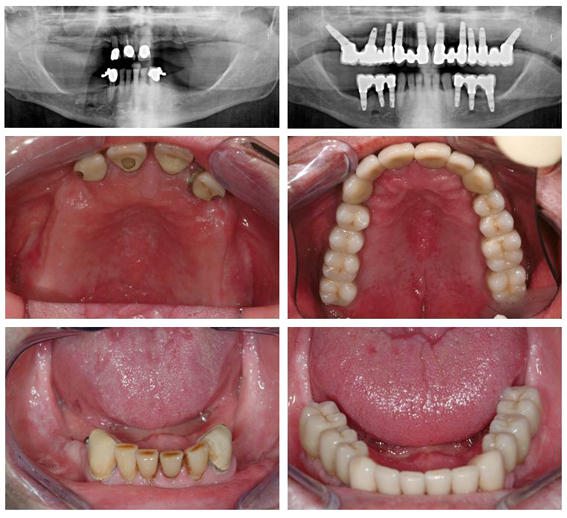 All upper teeth and the lower back teeth were restored with dental implant crowns and bridges, along with crowns on his lower front teeth which were able to be saved. 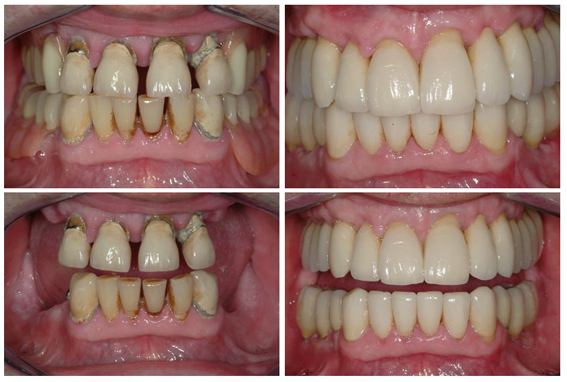 Years of neglect and smoking had ruined this gentleman’s teeth and smile. 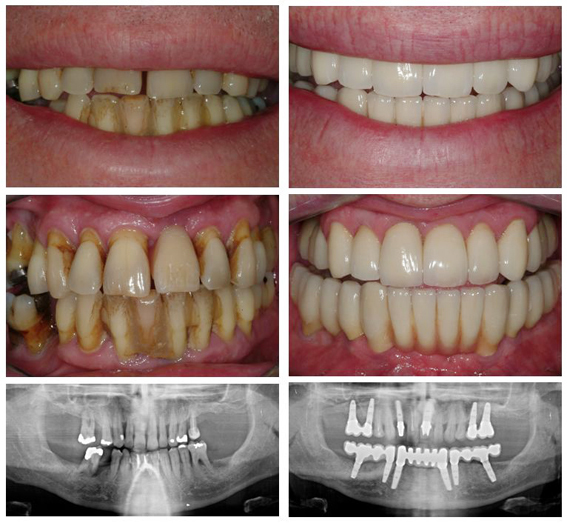 We were able to achieve a dramatic result in this very challenging case by carefully treating the disease to save some of the upper teeth and removing the failed teeth, which we replaced with dental implants, crowns and bridges. The impact on this patient’s quality of life, smile and confidence was remarkable.